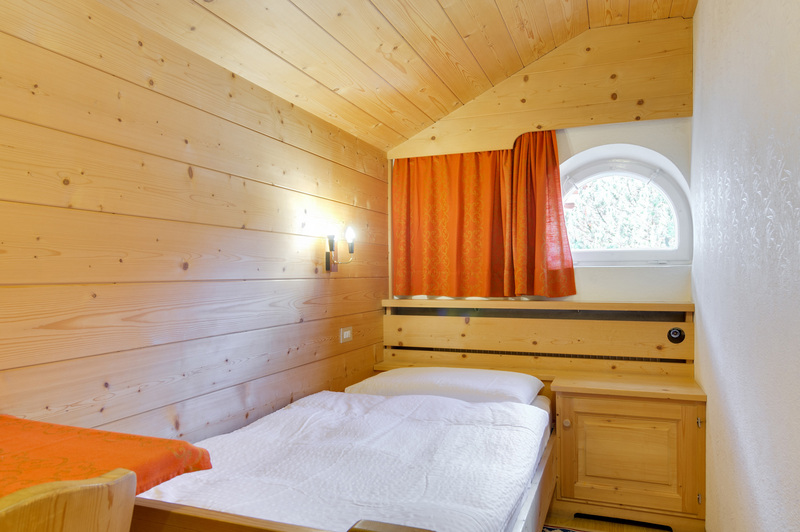 Apartments Laura in Ortisei in Val Gardena – book now! Welcome to Apartments Laura! 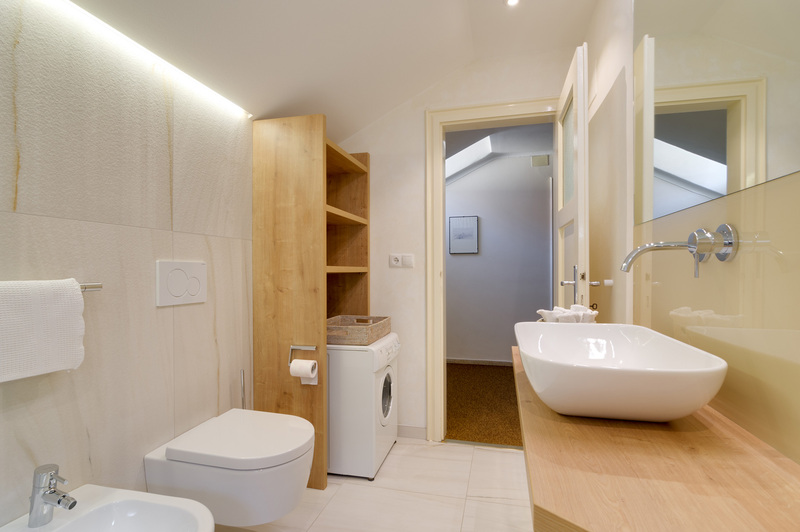 The apartment, located at the second floor of a house in a green and quiet position, lies in the immediate vicinity of the bus stop, shops and cableways, all within walking distance (2-5 minutes). We will welcome you in a warm and friendly environment and will always be available and attentive to your wishes. Moreover, we will be happy to give you our valuable advice about restaurants, places to visit or special events. Enjoy your holidays in absolute rest and well-being in our apartment, which is furnished with love and attention to detail. 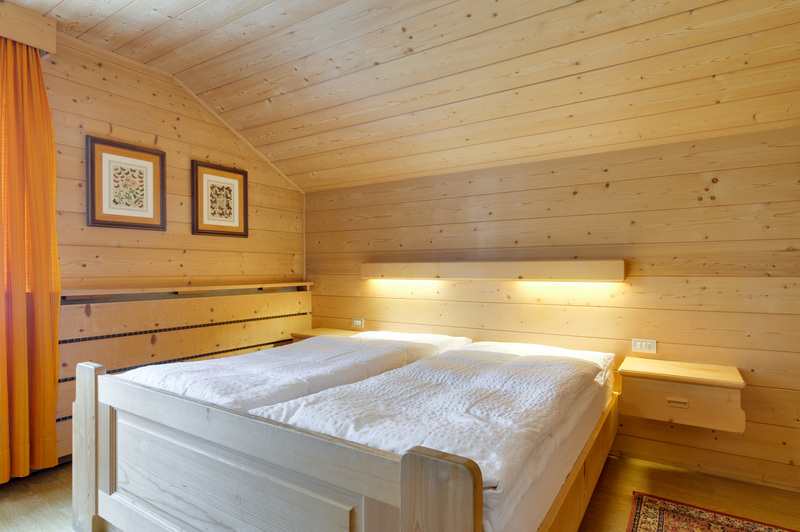 Relax in the spacious and comfortable rooms and bedrooms covered with fir wood and equipped with soft duvets. 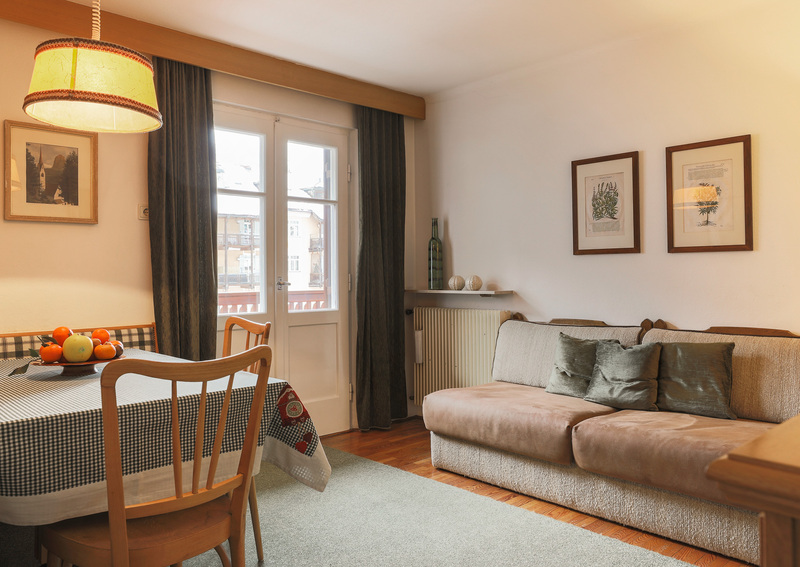 Sit back on our sunny balcony and enjoy the unique landscape of the Dolomites, or stroll through the nearby pedestrian area with its typical wood carving shops and shops with local specialties. Be inspired by the diverse cultural and recreational programme and take advantage of the offers and events of the Ladin tradition and culture. 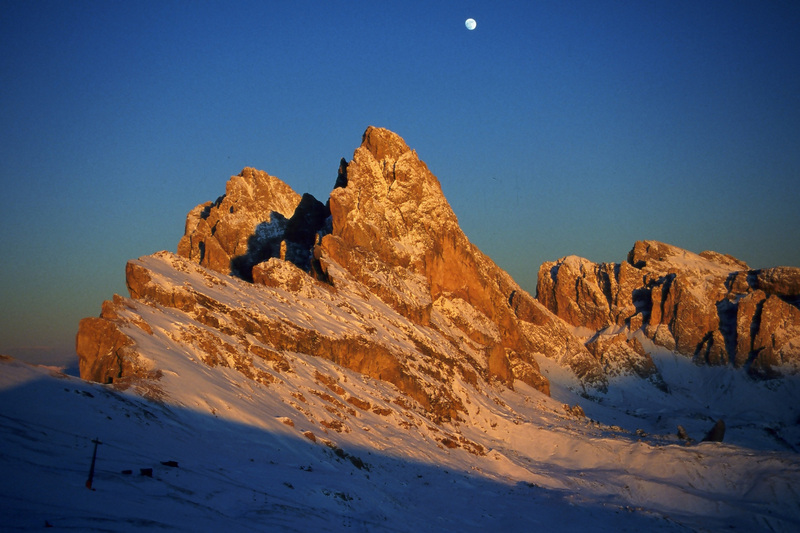 Located only a few steps from our house, the cableways quickly take you to the breath-taking mountains of Alpe di Siusi, Rasciesa and Seceda, a real paradise for lovers of winter and summer sports. 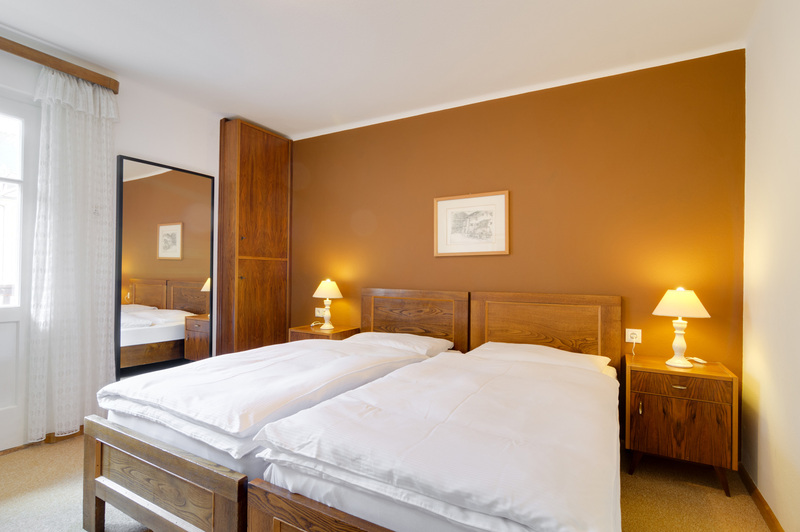 It is also the perfect place to go on quiet walks on well signposted hiking trails and to taste Ladin and South Tyrolean culinary specialties in Alpine mountain refuges. 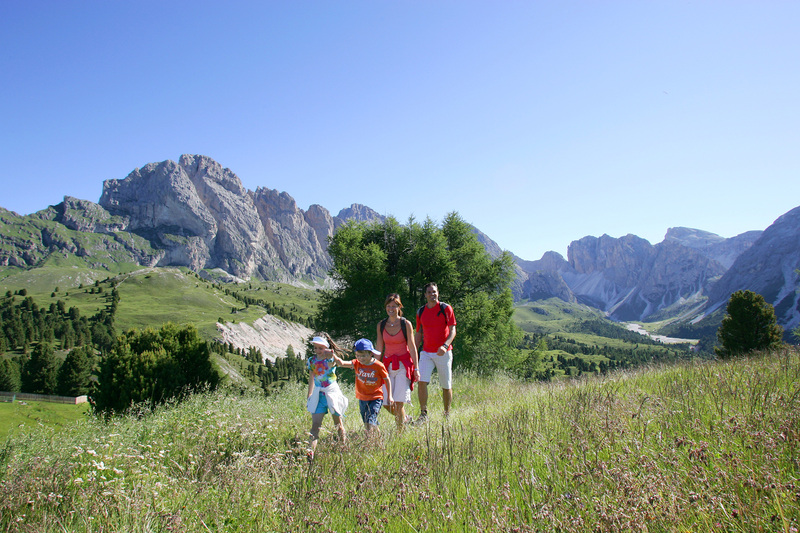 Immerse yourself in nature and experience the beauty and uniqueness of the Dolomites, UNESCO World Natural Heritage! The Luis Trenker Promenade, accessible by the escalator “La Curta” behind our house, invites to leisurely walks for young and old and also offers a playground for our little guests. 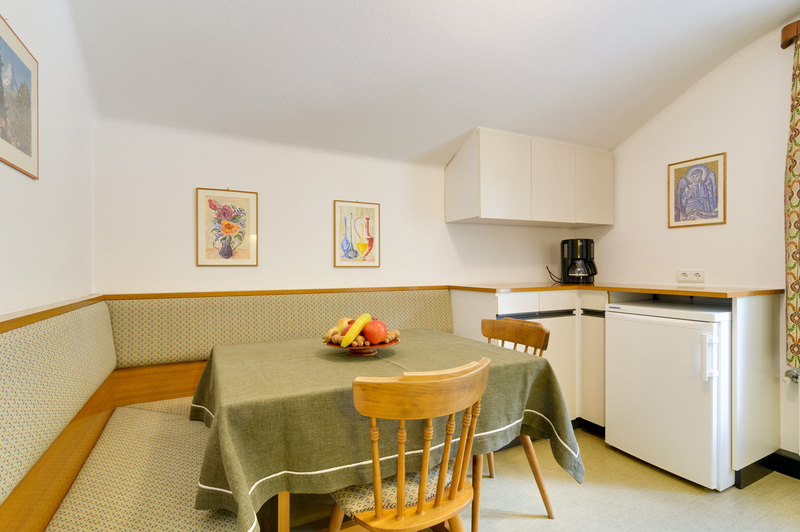 Apartments Laura, the perfect place for families! 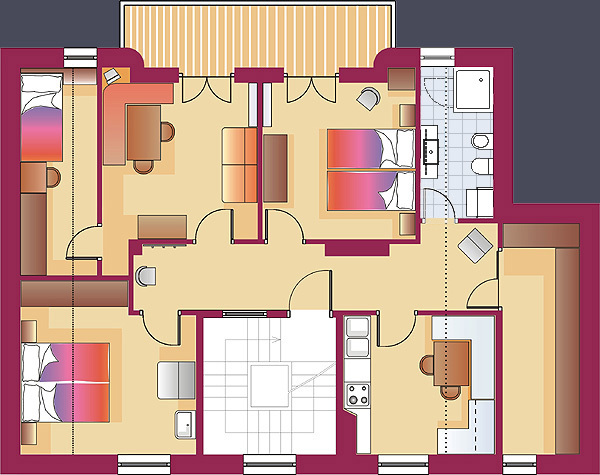 Apartment with one double bedroom plus sofa bed, one double bedroom, one single bedroom, lounge with TV, big kitchen equipped with fridge, oven, four-burner stove, water cooker, toaster, coffee machine and kitchenware, bathroom with floor heating, shower and washing machine, large sunny balcony, storage room for suitcases. The cableways, located 100-200 meters from our house, connect you directly to the Val Gardena-Alpe di Siusi ski area, a paradise for beginners and advanced skiers, with slopes for alpine skiing enthusiasts, cross-country skiers and also for snowboarders who can let off steam at one of the largest snow parks in the Alps! The escalator "La Curta", behind our house, connects you directly to the Seceda cableway and thus to the Sellaronda, the most popular ski carousel of the Dolomites. 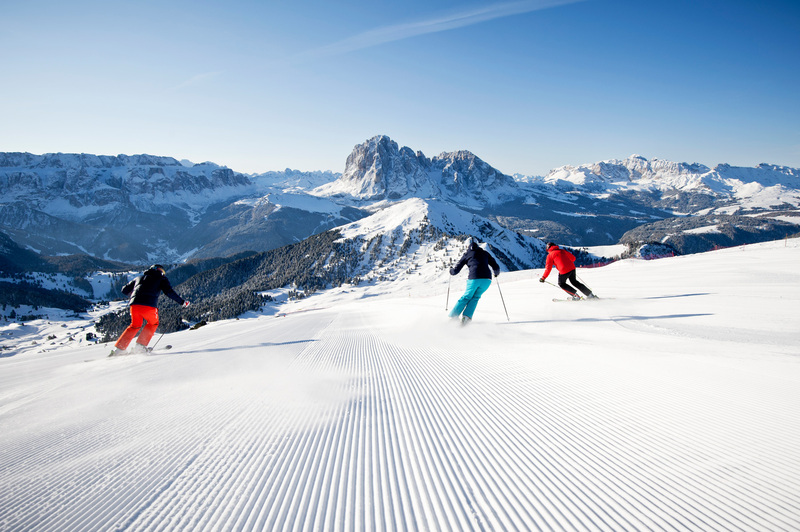 The wonderful ski resort Sellaronda, with its countless perfectly prepared slopes of all levels, offers you the perfect holiday experience in a unique mountain landscape. 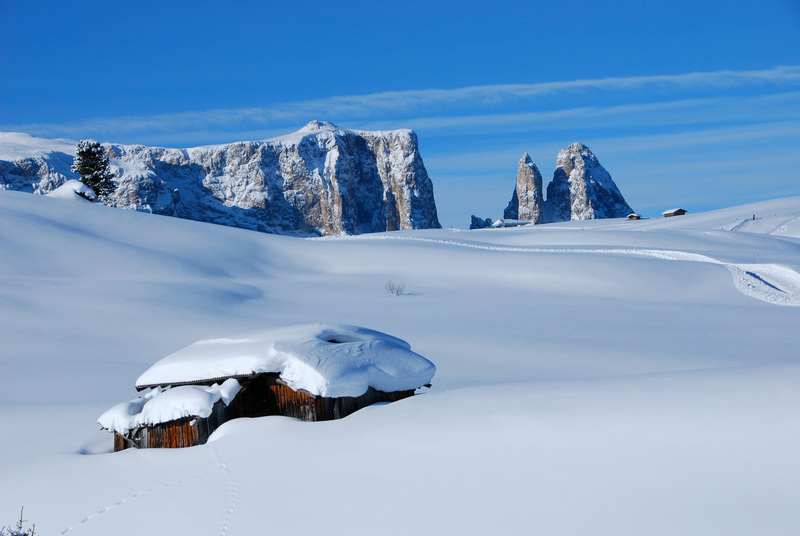 Breath-taking toboggan runs on Alpe di Siusi and on the Rasciesa mountain promise fun and adrenaline. Those who appreciate quieter environments can walk through quiet forests with snowshoes or simply relax on safe hiking trails and enjoy nature. It is also taken care of the most sophisticated palates: inviting alpine huts offer delicacies of the local cuisine on sunny terraces with magnificent views of the Dolomites. You can choose! 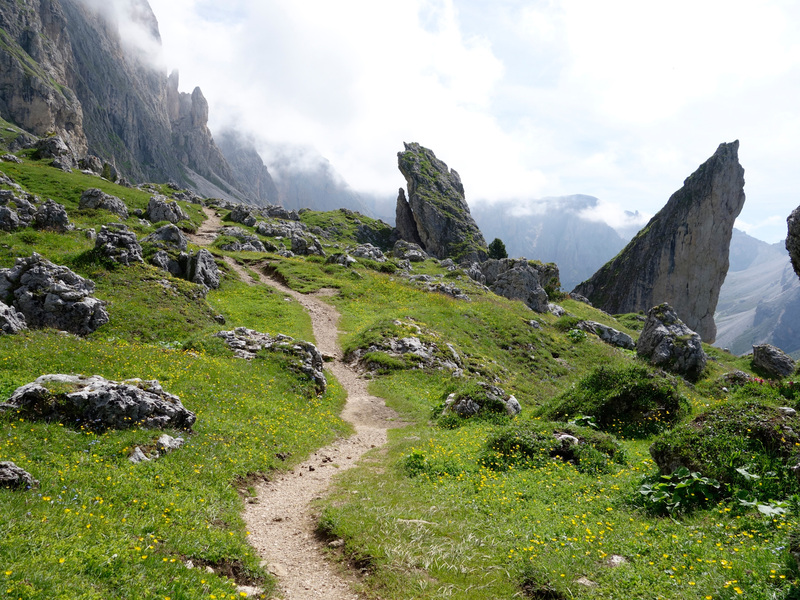 Countless well-signposted hiking trails through cool forests or beautiful meadows of alpine pastures, trekking routes for the more demanding hikers, summit climbing through via ferrata or with the help of experienced mountain guides, and also mountain bike trails of all difficulty levels are waiting for you. 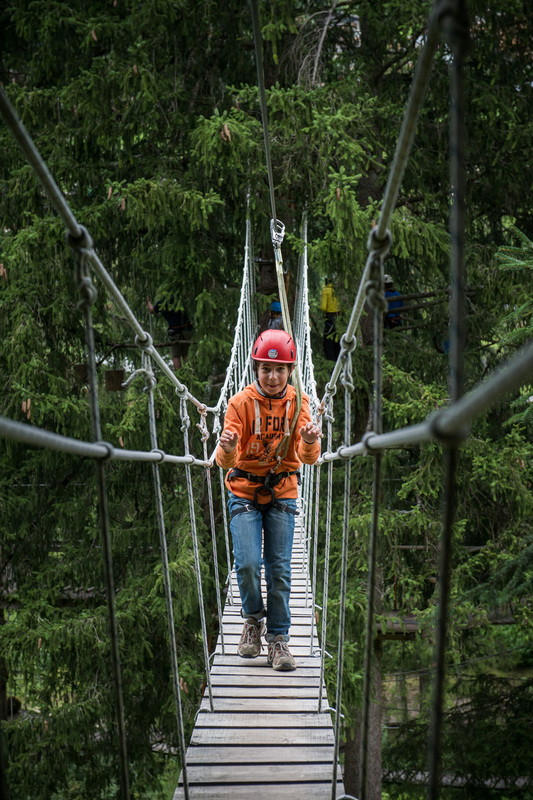 For those who are interested, there are also hikes on geotrails, and of course you can ride, swim, play tennis and, as a taster course, experience the tree-top adventure course in the forest. 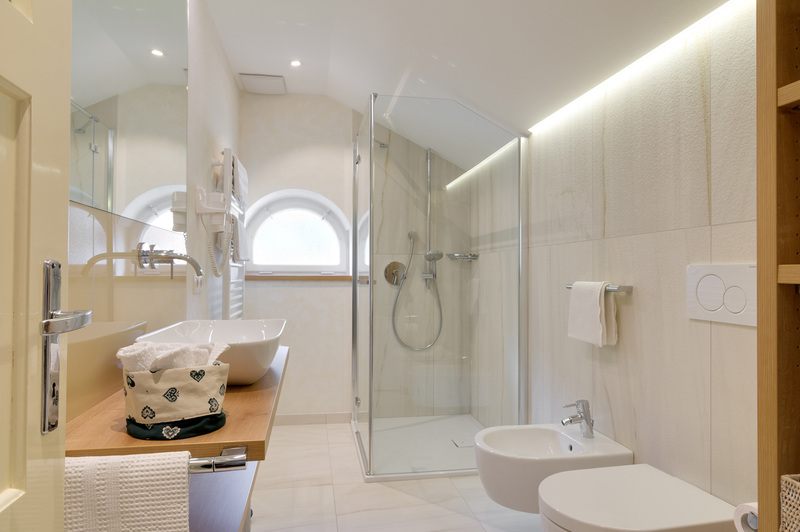 The prices do not include the tourist tax of € 1.75 per night and person over 14 years. Enquiries for the entire season will also be considered. We consider the reservation as binding after having received a written confirmation and the deposit. In case of cancellation, the deposit will not be refunded in accordance with art. 1385 of the Italian Civil Code. The apartment is available starting from 3.00 pm. If you arrive at 10.00 pm or later, please contact us. On the day of departure, the apartment must be vacated by 10.00 am. We accept small to medium dogs only on request and charge of 20.00 € /week. 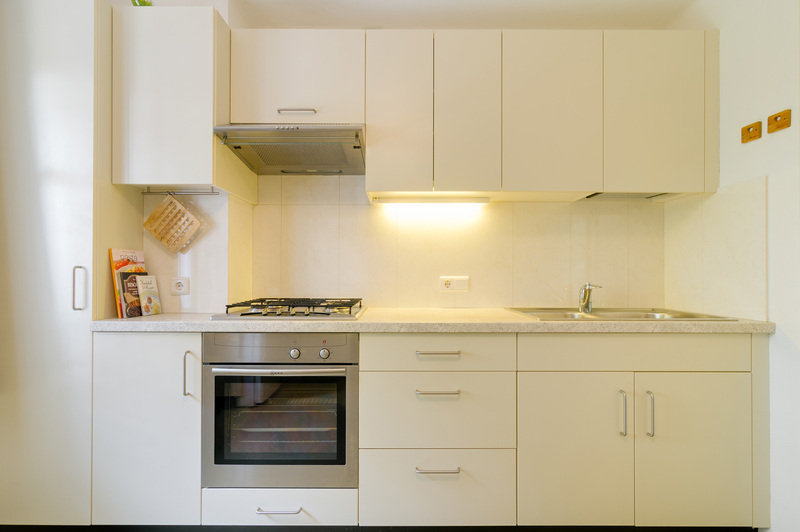 The owners of the pets are responsible for any damage caused by them. Smoking is strictly forbidden in the apartment. 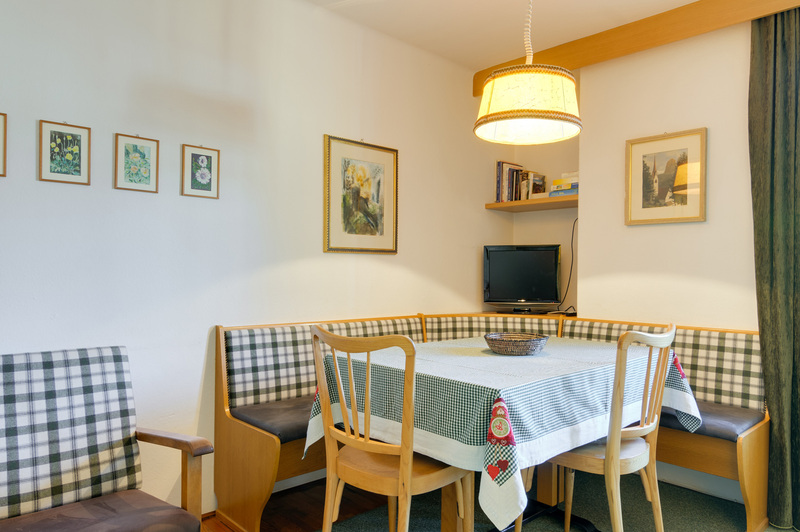 Apartments Laura is located in the centre of Ortisei, a few meters from San Antonio square, where also the bus stop is situated, and on the right side of the Museum of Val Gardena.